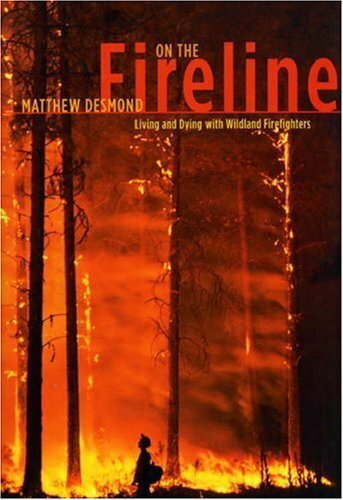 experiences with intimate knowledge and native ease, adroitly balancing emotion with analysis, action with insight.On the Firelineshows that these firefighters aren’t the adrenaline junkies or romantic heroes they’re so often portrayed as. Their choice to take on such hazardous work grows naturally from their rural, working-class values, which the Forest Service taps into as it conditions them to risk their lives. Along with exploring how firefighters become acclimated to the hazards of the job,On the Firelinecandidly examines the more everyday facets of their lives as well—we hear their jokes, witness their fights, and observe the close bonds they form while waiting for the next alarm to sound. Matthew Desmond’s revealing and often gripping book is truly one of a kind: an immersion into a dangerous world, a moving portrait of the lives of young people, a sophisticated analysis of a high-risk profession—and a captivating read. Matthew Desmond is assistant professor of sociology and social studies at Harvard University.